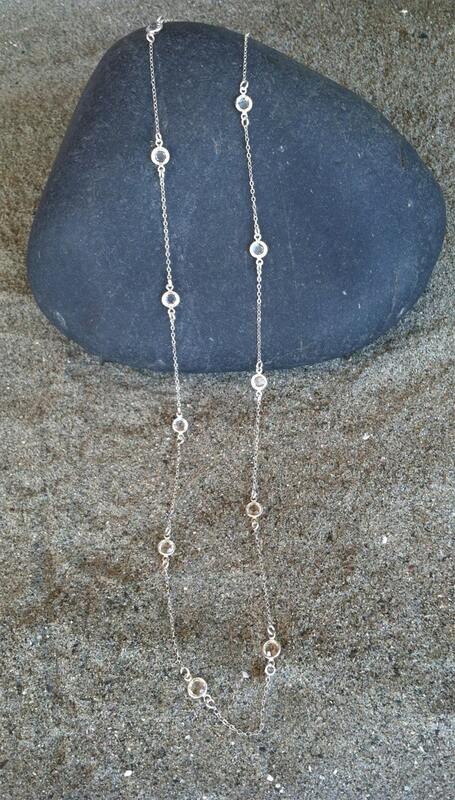 This beautiful long necklace can be worn single or double wrapped, and layered with other necklaces to make a real statement! It measures 36" long and can be made with your choice of either sterling silver or gold plated bezel set Swarovski crystals with 14K gold fill or Sterling Silver chain. Shown above in sterling silver. 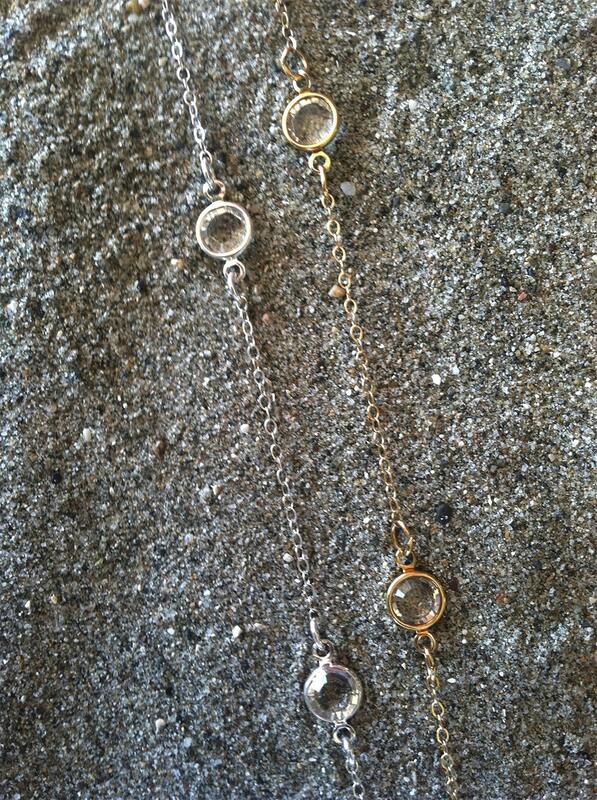 Please refer to last photo for gold/ silver comparison. 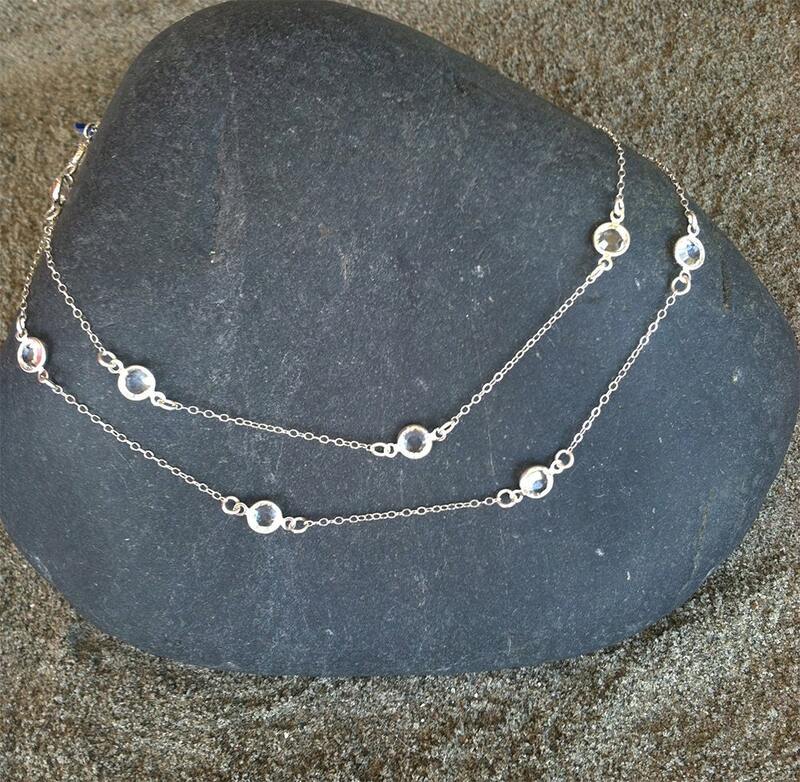 Versatile, beautiful necklace. Exactly what I wanted. Love this necklace! It sparkles more than I thought, and was shipped promptly.